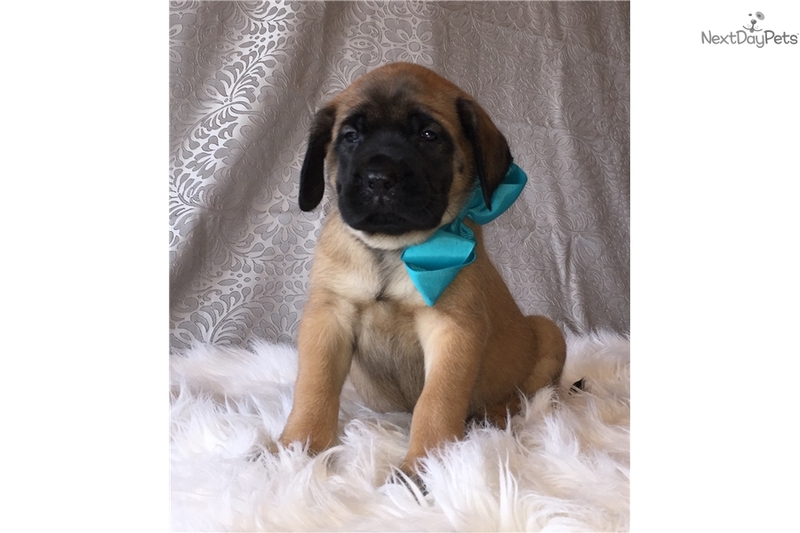 We have a beautiful litter of AKC English Mastiff puppies available. Puppies are currently 6 week's old and will be ready to go to there forever home on September 17th. We have 6 females and 4 males available. We have both parents on premises. Dad is Fawn color and weighs around 220 pounds. Mom is Apricot and weighs around 140 pounds. Puppies come with 1 year health guarantee up to date on shots as well as vet checked and AKC papers. We sell full breeding rights for $1500.00. 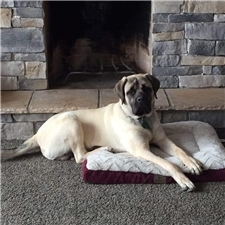 Feel free to contact me with any questions and also please see our Facebook page at Yoder Mastiffs to see some of our previous puppies.